Feel like it’s time to finally hire a company to help you succeed with SEO? With so many service providers out there, it can be really difficult to find the right company to work with. You need to be able to ask the right questions and look for the right things in order to avoid common pitfalls that come with hiring a SEO company. Here’s a helpful guide you can use to guide your search. – Target keywords that will result in quality leads. – Get in front of the right audience to maximize the effectiveness of your campaign. – Help you establish credibility and authority in a competitive space. – Increase revenue by using SEO as a sales generation channel. Not having a clear goal can result in you targeting keywords that result in low quality leads, targeting broad audiences that aren’t interested in buying your products/service, and wasting time on a misguided campaign. 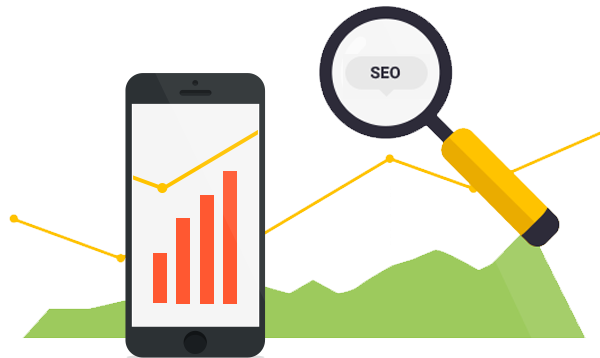 Many SEO companies will offer you a free consultation. In this consultation, you want them to assess your website and get a strong idea of what kind of strategy they’re going to use. This will help you evaluate whether or not they understand SEO from a strategic point of view. For example, if you were to be selling hosting through a reseller hosting account, it may not make sense to try to rank for the keyword “reseller hosting.” The reason why is because the people typing in these keywords may be looking to sign up with a hosting company to sell their own hosting services. While SEO will be the core focus for you at the moment, it may be helpful to work with a company that specialize in other areas. For example, a SEO company that specializes in paid advertising (PPC, display, native), content marketing, and social media marketing can really help clients scale their digital marketing campaigns. All of these channels complement SEO and can even enhance the results of a SEO campaign. For example, you can significantly increase your traffic with both PPC and SEO. What many people don’t know is that the paid and free listings can support each other rather than compete with each other. Content marketing is also another strategy that integrates well with SEO because of the incoming links that are generated from the campaigns. One of the best ways to find prospective SEO companies is to attend networking events and seminars. It’ll help give you the insight you need to make the right decisions. You’ll learn what SEO consists of, what’s happening in the industry, and get recommendations from others. In addition, you’ll come across many professionals and speakers that have the knowledge and experience to build successful SEO campaigns. Don’t limit yourself to just the big events. Even small networking events can offer a lot of value. It’s also a mistake to assume that only big SEO companies can deliver a great service. In reality, there are smaller service providers that can do just as good as a job. They are also more affordable and are more focused on your success due to their smaller client list. You want to avoid companies that promise you certain rankings within a certain amount of time. Instead, you want to work with companies that will steadily bring you results according to the goals you’ve set. You want companies that will constantly update you with the progress they’ve made with your campaign. The data presented should be clear and easy to understand. This can mean increase in traffic, higher rankings, more links, engaging content, website speed optimization, and even social signals. Some companies may require a contract but it’s always best if you can negotiate a result-driven agreement. If the company cannot make significant progress, you should be able to cancel their services. This will allow you to switch to another provider if they cannot deliver on their promises. In most cases, you’ll start by looking for reviews of the company, but reviews alone will not tell the full story about the company. You want to visit their website and look for case studies and examples of clients they’ve worked with. What you want to look for is satisfied clients in your market or industry. Every industry and market is different, so it’s a bonus if the prospective company has experience where you’re competing. The next step is to ask for references. This might seem like it would consume extra time but it’s well worth the effort. If the SEO company can give you references, it means that they’re confident about their services. It also gives you the opportunity to talk to their past or current clients to see if the company would be a right match for you. It’s always a smart idea to come up with a budget you can afford before you start your search for a service provider. At the same time, you need to compare that to how much a service provider will typically charge for your specific needs. That’s why it’s so helpful to attend networking events and seminars as mentioned earlier. Many SEO companies will have a variety of packages for you to choose from, allowing you to move at your pace and budget. One of the benefits of working with smaller providers is that some will be flexible about the pricing. It will be easier to negotiate prices with them and they are often more affordable than the big companies. There are some that will even work on a performance basis. Just keep in mind that the first priority is working with a company that knows what they’re doing and has delivered great results for past clients. These are just some guidelines for finding the best possible SEO company for your website. The more time you can spend finding and evaluating SEO companies, the more likely you’ll be able to find a reliable company to work with. Don’t take shortcuts and do your due diligence as it will pay off in the long run.